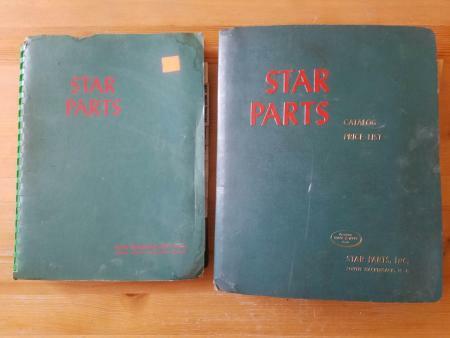 Two manuals, one is a catalog the other is a parts manual, with additional inserts. These are linotype manuals in the original green plastic binders. $20 or trade.